The university's mission is to provide all users, including those with disabilities, a functional, accessible, interactive Web experience. If you are an individual with a disability and are having difficulties with materials hosted by Wright State University, please contact web support. Operates the adaptive computer lab at 034 Library Annex. Provides support in using university computers and services. Offers services, programs, and activities that allow students with physical and non-physical disabilities to participate in all facets of university life. Provides accommodations for faculty and staff with disabilities. 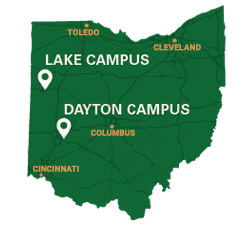 Provides assistance to Wright State faculty and staff in making accessible course materials and multimedia content for academic classes. Informs Wright State Web editors of their responsibilities to make accessible Web pages, and provides guidance in doing so. This Wright State University Web site is copyrighted. No portion or element of this site may be distributed, sold, displayed, or altered without express written advance permission. The names, initials, seals, mascots, and logos associated with Wright State are trademarks owned by the university and may only be used for official Wright State pages by university personnel. Any other use requires express written advance permission. Contact the Office of General Counsel for more information.